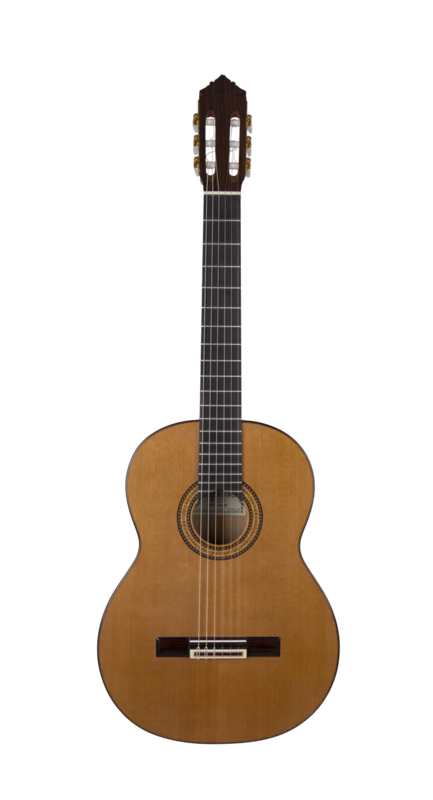 Gerundino Fernández was considered as one of the greatest Spanish builders of guitars throughout the 20th century. The beauty and finish of the instruments from his hands deserved several national and international awards, but three were especially proud of the brilliant craftsman, the First Prize of the Festival International de Guitarreros de Ronda, Malaga in 1978 and First Prize and Award for Best Acoustics at the 4th International Unesco Contest of Master Guitarists convened worldwide in Paris in October 1988. 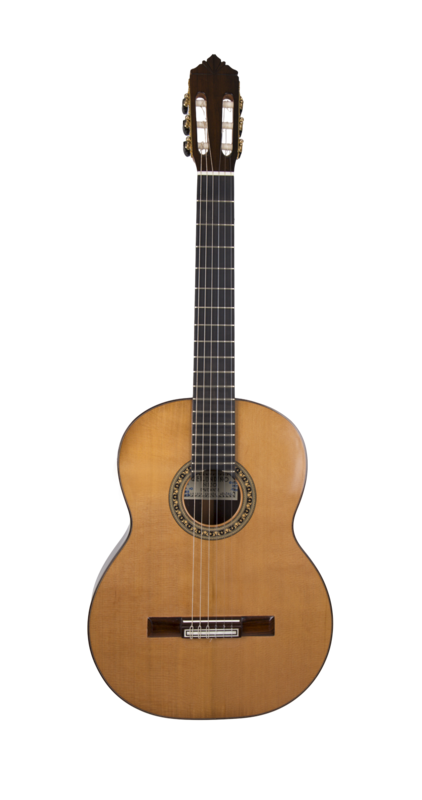 Delicacy and harmony in your trim, accessories and ornamental pieces; Lightness and quality in the woods used and, in particular, the extraordinary sonority that characterized his guitars made the most famous flamenco concertists and guitarists to dispute their instrumental jewels. Raimundo Amador, Paco de Lucía, Paco Peña, Tomatito, Pedro Bacán Paco del Gastor, José Luis Postigo, Vicente Amigo, Juan Martín, Chaparro de Malaga. 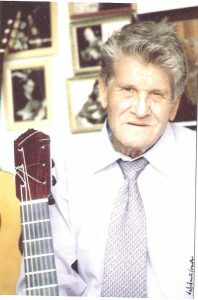 Gerundino Fernández García enjoyed in his lifetime of the recognition by private and public institutions: flamenco clubs like Los Tempranos, El Taranto, Romeros de la Virgen del Mar, El Morato, Provincial Federation of Peñas or New Acropolis; In addition to the awards given by La General de Almería, Canal Sur and the former Delegation of Culture. The City Council distinguished him as one of his most prominent sons with the City Plate Shield (1979) by virtue of the values demonstrated throughout his life and that of having taken the name of Almeria with the height that corresponded to him. Gerundino Fernandez died in Almeria on March 14, 2006 at the age of 74. Two years after his death, the city council of the city where he was born, placed in recognition of his great career as a luthier, a bronze bust with his effigy. In 2011 the city of Almería returned to homage again to the world-known “Sculptor of the Sound” of its city, putting the name to him of Street Guitarrero Gerundino Fernandez to one of the streets of the Almerian capital. Gerundino Fernández Llamas, son of the grandmaster Gerundino Fernández, was born in 1974 in Almeria and from very young he used to help his father in tasks related to the construction of guitars such as sanding wood, putting the kerfings, gluing backs and tops, etc. The smell of cedar, cypress and palo santo were part of his childhood. In addition his relation with the wood goes beyond the construction since also it is a great expert of woods since he used to go with his uncle Eladio to locate, to cut and to select the best woods that soon his father used for its guitars. 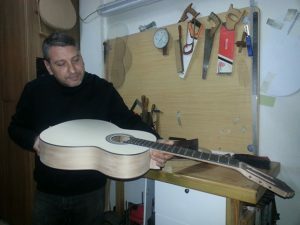 For several years he studies the instrument in depth and reviews all the professional work of his father, but it is in 2015 when he decides to follow the family tradition professionally and begins to build his own guitars using the techniques, tools and woods of his father. Sus guitarras tienen una gran calidad de sonido y acabados, respetando el típico sonido de una Gerundina. 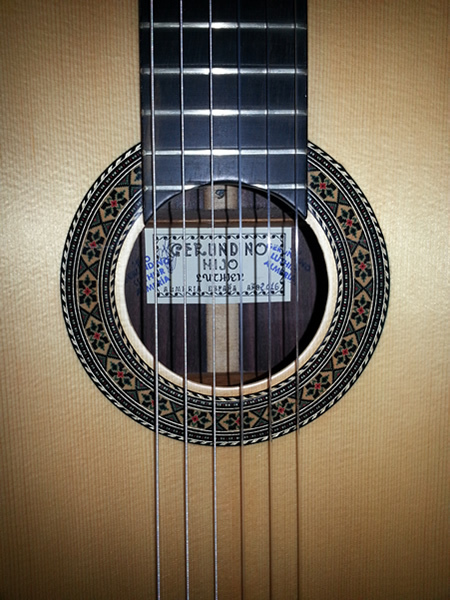 His guitars have a great quality of sound and finishes, respecting the typical sound of a Gerundina. 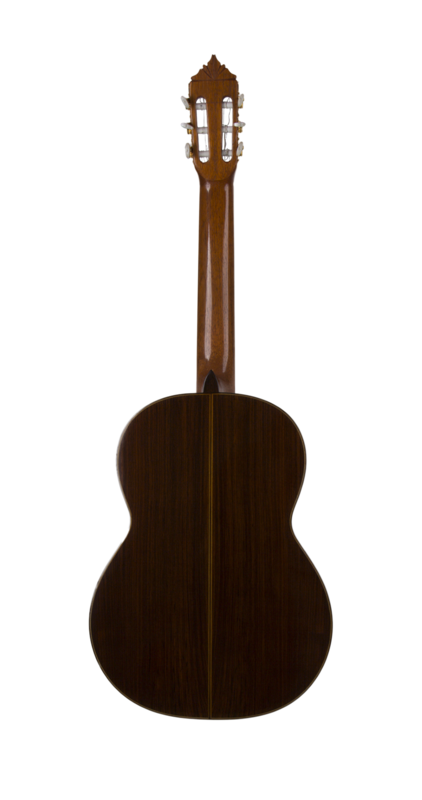 The guitars of Gerundino Fernandez Hijo are completely handmade, with noble woods of excellent quality from his father with more than 40 years of drying.